Goodness, is it really that time of year again? Indian summers that go on into October confuse us here. 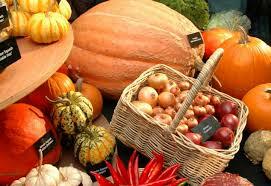 In keeping with tradition, October’s Feast is all about the redistribution of food. We have the Norwood Food Bank at the Food Fair in St Luke’s, so please feel free to bring your non perishable donations to them in the community stall by Feast HQ. They are short of custard, UHT milk, tinned meat and fish, rice, instant mash and tinned fruit (ingredients for an interesting meal there) but have enough pasta, beans and tea for now, thanking you. At around 12.30pm a singing (and possibly dancing) harvest procession will be coming from Chatsworth Baptist Church right up the high street to deliver their goodies to the Food Bank. Don’t miss it. And if you do, there’s always Popchoir to catch at 1pm while you are having your Food Fair lunch. And street dancers after that. Windfalls for the Food Bank? 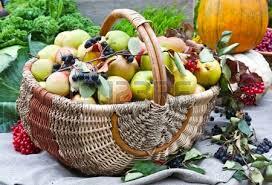 Do you have a glut of fruit in your garden or allotment? You do?!? How terribly fortunate. We at Feast would be most grateful for your donations of (preferably worm free) windfall apples (and pears and plums) to the Fresh & Green hub along Norwood Road. The lovely women there will then sell them and raise money for the Food Bank. Thanking you kindly in advance. Now that EVERYONE who is anyone in West Norwood has a Feast bag, we have some more merchandise coming to this month’s Feast. Keep your eyes peeled for (GORGEOUS, omg) tea towels and car stickers like this one above…and more merchandise coming later in the year. 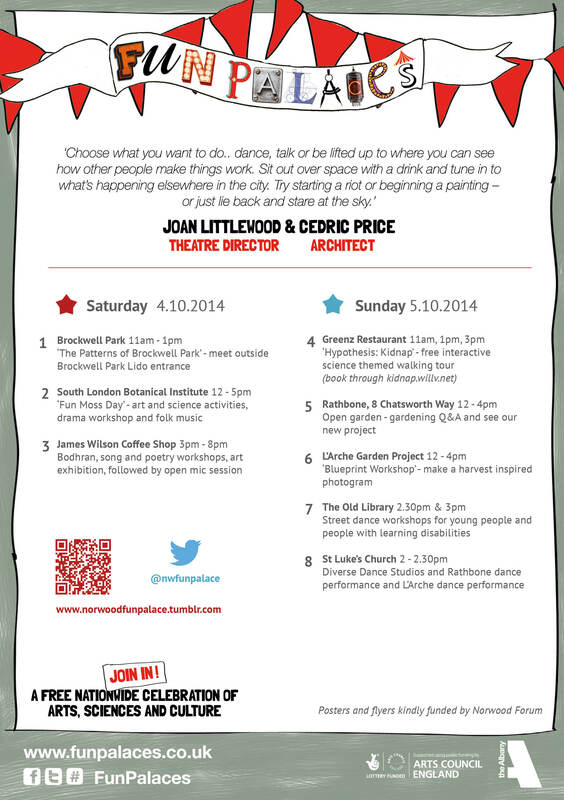 Loads of free stuff to do as ever at Feast this month. 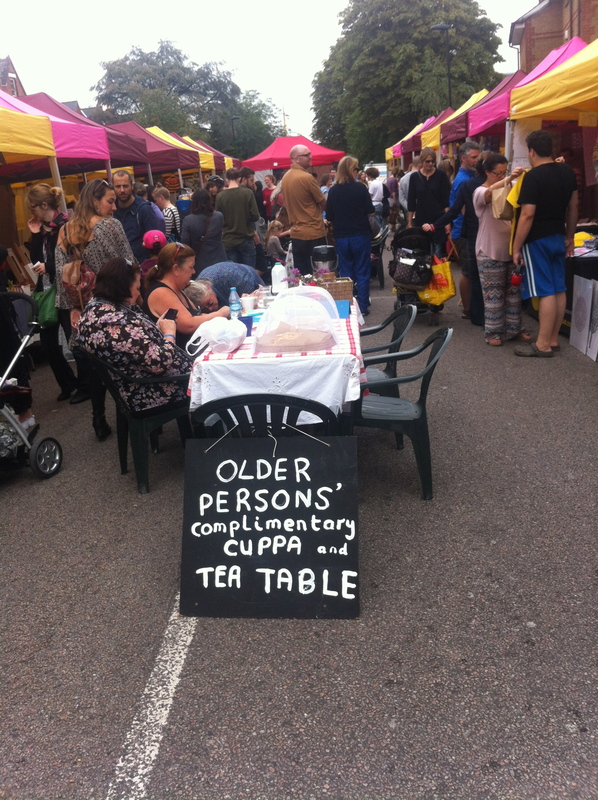 At Artisans there is the usual tea and talk table for those lucky people with a Freedom Pass, as well as a free hand massage in the morning, courtesy of Jennie Duck (who is a person) (and who has a new complimentary therapy business in the area called West Norwood Therapies). The lovely people at South London Play Partners will be having an autumnal theme to their children’s activities this month with a spot of leaf rubbing on offer – for all those keen young leaf rubbers out there. And apparently there will be a pirate called Amy appearing at the Food Fair around midday… There will be no plank walking but plenty of oo-arring we suspect. Thanks to local outfit Nutty’s Children’s Parties for supplying pirates, as well as Danny Nutt himself in the guise of DJ for Artisans in the afternoon. What’s all this cheery sounding Fun Palaces stuff about? You don’t know? Well, it’s this. 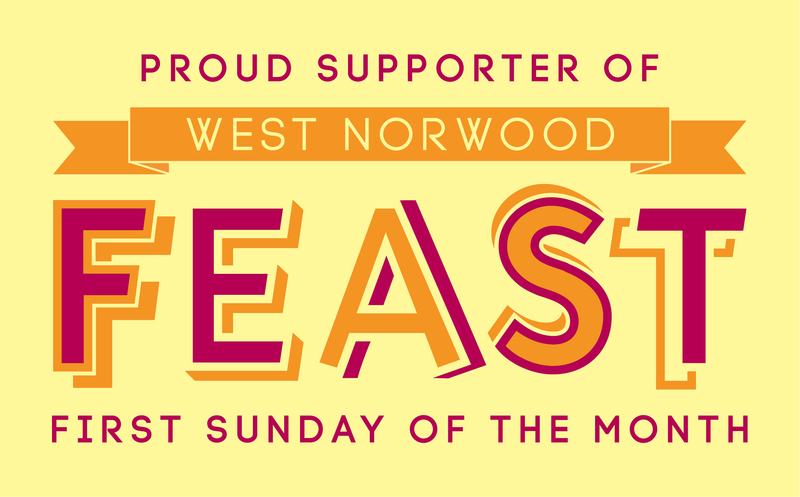 It means there will be plenty of fun for free in West Norwood all weekend – and most especially on Feast Sunday. There’s an interactive science themed walking trail leaving regularly from Greenz restaurant by Tulse Hill station (expect controlled explosions of the mento and cola variety), and there’s print workshops, open gardens, street dance performances…you name it, Fun Palaces have got it covered. For all the latest information click here, or just come along to Feast and you’re sure to catch something happening. Jumble sales are sooo last century, people, jumble trails are the way we roll in West Norwood nowadays. On Feast Sunday there will be a total (and this may well be revised by the weekend) of no less than 75 households involved, hanging out their offerings in their front gardens. Lambeth Open 2014…and charity auction! This annual art fair is happening all over Lambeth the weekend of Feast – be sure to pop into the Portico Gallery to see West Norwood’s offering of fabulous art. There will be 40 artists exhibiting there, including Feast favourite Martin Grover, plus David Taylor and his Turneresque canvasses and lots of beautiful Chrissy Thirlaway nudes. Many of the artists have been persuaded to paint a mini canvas (6cm x 6cm) which you can bid for in a secret auction. The proceeds of this will go the amazing charity SRA on Knight’s Hill who help people with mental health problems find full time work (and run a very good copy shop if you ever need anything printed…). What’s this film got to do with Feast, we hear you say (we have ears in all sorts of places). Well, ordinarily not much. However, not content with a Harvest FEASTival, Feast has teamed up with the Portico Gallery to have its own LebowskiFEAST. Yeah we know, punny right? But if you love a bit of the Bridge in his seminal role, and are partial to a White Russian (whilst siting in your CINEMA SEAT) save Friday 10 October in your diaries, good people of West Norwood…. PrevPreviousDo you have a freedom pass?